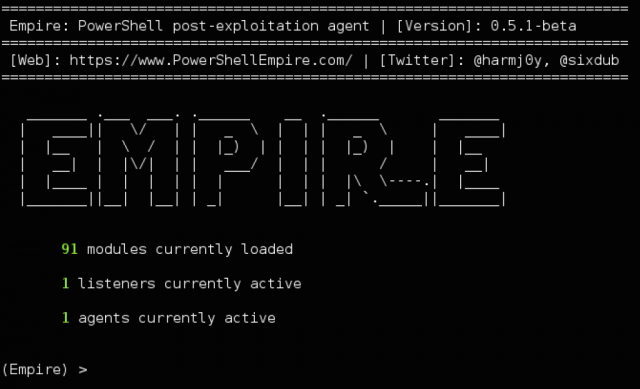 PowerShell Empire is a post-exploitation hacking tool built on cryptographically secure communications and a flexible architecture. Empire implements the ability to run PowerShell agents without needing powershell.exe, rapidly deployable post-exploitation modules ranging from key loggers to Mimikatz, and adaptable communications to evade network detection, all wrapped up in a usability-focused framework. 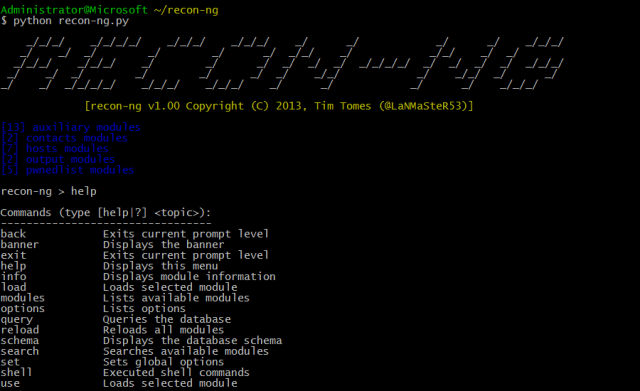 It has a LOT of modules (90+) and is currently in the midst of implementing a RESTful API which will be great. Default installation on Windows 7+. 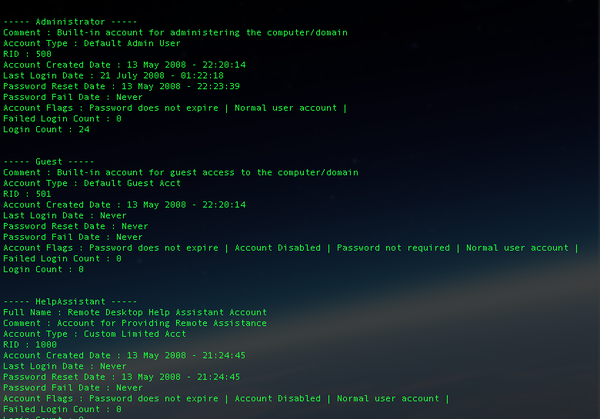 Powershell for Pentesters had a watershed year in 2014, but despite the multitude of useful projects, many pen-testers still struggle to integrate PowerShell into their engagements in a secure manner. Empire has a few components which you can chain together, similar to something like Metasploits. Listeners – Think of this like a metasploit handler, this will catch your session. Stagers – This is your payload, this is what you will execute on your target system. Agents – This is how you interact with the target system, you can gather stats & info or run shell commands. It also had fairly robust logging built in. So another data breach, and no surprise here, but another dating site. This time the BeautifulPeople.com Leak has exposed 1.1 million customer records, including 15 million private messages sent between users. Not so private now is it. And no surprise either the entry point for this leak, was the not-so excellent NoSQL database MongoDB which has amazing passwordless defaults and listens on ALL network interfaces rather than binding to localhost. Sexual preference. Relationship status. Income. Address. These are just some details applicants for the controversial dating site BeautifulPeople.com are asked to supply before their physical appeal is judged by the existing user base, who vote on who is allowed in to the “elite” club based on looks alone. All of this, of course, is supposed to remain confidential. 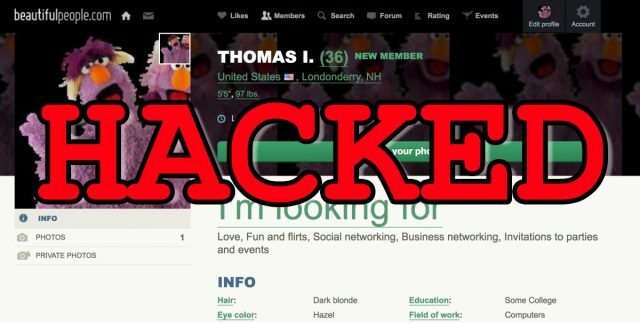 But much of that supposedly-private information is now public, thanks to the leak of a database containing sensitive data of 1.1 million BeautifulPeople.com users. The leak, according to one researcher, also included 15 million private messages between users. Another said the data is now being sold by traders lurking in the murky corners of the web. But the information – which now appears to be real user data despite being hosted on a non-production server – was taken by one or more less-than-scrupulous individuals before the lockdown, making it out into the dirty world of data trading this year. That’s according to Troy Hunt, an Australian security expert who runs the website HaveIBeenPwned.com, where people can check if their own information has been leaked in some of the biggest breaches in recent memory, from Adobe to Ashley Madison. It seems like the records are for sale on the shadier parts of the web and actively being traded by those who trade these kind of things. Fortunately payment details weren’t leaked, and passwords were encrypted. So it’s a privacy issue more than a financial loss or threat, but as always this kind of info is a goldmine for social engineering, blackmail and identity theft. Two BeautifulPeople.com users confirmed their information was in the leaked database, which also contained encrypted passwords. They shared their entries as found in the database, which showed an entry for descriptions of themselves, revealing more private details about their personal lives. One confirmed the latitude and longitude details were correct, pointing to Cambridge, UK, where they’d signed up. BeautifulPeople.com, which brags about being “the largest network of attractive people in the world”, has courted controversy in the past by removing thousands of users from the service for not being attractive enough. In 2009, it boasted 1.8 million “ugly people” had been denied access to the site. In 2010, 5,000 were culled after gaining too much weight over a festive break. Last year, weight gain and ageing led to another 3,000 being thrown out. Today, the company re-sent its original statement on the breach, first received by FORBES in December. “We can confirm we were notified of a breach on December 24th of 2015 of one of our MongoDB test servers. This was a staging server and not part of our production data base. The staging server was immediately shut down.” The company claimed all affected members were informed of “the vulnerability” in December, whilst noting passwords were encrypted and no financial data was exposed. The user data apparently is only for users that signed up and were active before July 2015, anyone who joined after that shouldn’t be affected. And yah, be careful with your staging servers – don’t have production data on them unless you absolutely have to (which honestly you don’t). You can mock whatever data structures you need to develop on it. 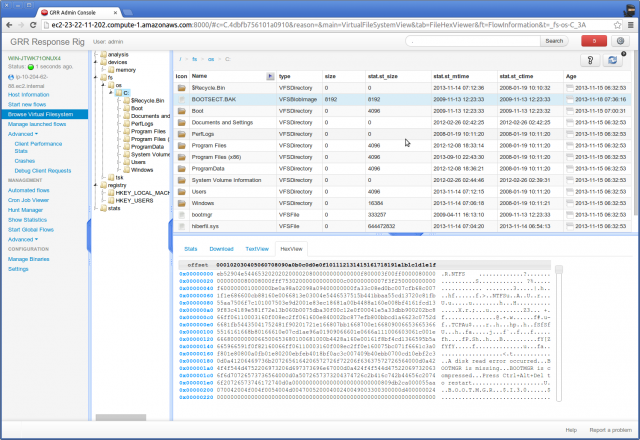 GRR Rapid Response is an incident response framework focused on remote live forensics. It based on client server architecture, so there’s an agent which is installed on target systems and a Python server infrastructure that can manage and communicate with the agents. There are agents for Windows, Linux and Mac OS X environments. To function, an agent is deployed on systems that one might want to investigate. Once deployed, each system becomes a GRR client and they can start receiving messages from the frontend servers. Each message tells the client to run a specific client action and return the results. A client action is simply some well known code the agent knows how to execute (such as obtaining the list of files in a directory or reading a buffer from a file). These actions are invoked server-side through what we call flows. A flow is a piece of server-side code that asks the GRR system to schedule remote calls to a client and has some additional logic to decide what to do based on the call results. This flow is running on a client because a user initiated it. To do so, he probably used the web-based Graphical User Interface (GUI), which allows a GRR user to start flows for clients and review the results. Or he could also have used the text-based console to do the same. Any flow that can be run on a single machine can also be run as a Hunt. A hunt allows running a flow on all, or any subset of machines talking to the GRR server. Cross-platform support for Linux, OS X and Windows clients. Live remote memory analysis using open source memory drivers for Linux, OS X and Windows via the Rekall memory analysis framework. Powerful search and download capabilities for files and the Windows registry. Secure communication infrastructure designed for Internet deployment. OS-level and raw file system access, using the SleuthKit (TSK). Fully scalable back-end to handle very large deployments. Automated scheduling for recurring tasks. Fast and simple collection of hundreds of digital forensic artifacts. Asynchronous design allows future task scheduling for clients, designed to work with a large fleet of laptops. AngularJS Web UI and RESTful JSON API. Fully scriptable IPython console access. SamParser is a Python script used to parse SAM registry hives for both users and groups, it’s only dependency is python-registry. This would be a great little script to write into another toolset or larger attack pattern, especially if you’re already using a Python kit or framework. Much like Adobe Flash, QuickTime from Apple is a bit of a relic some pretty serious, remote code execution type Windows QuickTime Vulnerabilities were recently discovered by Trend Micro. Apple has officially stated that they won’t be fixing them and the official line on this, is to uninstall QuickTime. I guess a lot of people don’t use it any more (I haven’t had used it for years, since movie trailers used to be common in QuickTime format), but still have it installed. So, uninstall it, and pass the message around to any Windows users, and organisations with Windows desktops that might quite often have QuickTime in the white-list for software. RIP QuickTime for Windows. Apple is “deprecating support” for the application, and will no longer patch security flaws in the software. The iGiant is also quietly advising users to uninstall the media player from their Windows machines to avoid being hacked. Word of the end of support comes from infosec biz Trend Micro. 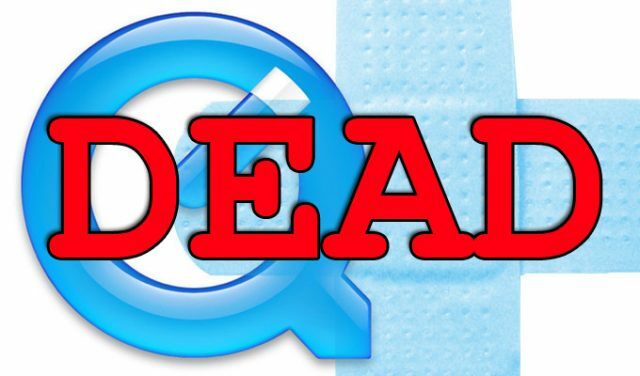 It discovered two critical flaws in the Windows build of QuickTime and reported them to Apple. In response, Trend told The Register, the iPhone maker said it won’t fix the bugs, and is cutting the application loose. Both of the vulnerabilities – ZDI-16-241 and ZDI-16-242 – are heap-corruption-based remote code execution vulnerabilities. An attacker can exploit these flaws to hijack a victim’s PC and infect it with malware, simply by tricking them into opening a malicious file or web download. Apple’s response: uninstall QuickTime for Windows. “We’re not aware of any active attacks against these vulnerabilities currently. But the only way to protect your Windows systems from potential attacks against these or other vulnerabilities in Apple QuickTime now is to uninstall it,” said Christopher Budd, global threat communications manager at Trend Micro, on Thursday. Fortunately there’s no reports of these attacks in the wild so far, but now the vulnerability details are public, and all the bad actors have to do is get people to open a malicious QuickTime file – I’d expect it to become a real attack fairly soon. And the fact, they have some time to write the exploit and make it reliable as there will be no patch for these vulnerabilities, ever. Bizarrely, Apple doesn’t seem to have mentioned the change of heart over QuickTime to anyone else. The iOS goliath last updated QuickTime for Windows in January, and there appears to have been no general warning to users that support is being dropped. For what it’s worth, QuickTime has never played nice with Windows 8 or 10, and its web plugin was disabled by default in that January update. Given the short lead time between vulnerabilities being announced and malware writers exploiting them, Trend’s disclosures today could turn into a serious security headache. QuickTime has been available for Windows for over 20 years and there’s a considerable installed base of users out there, all of whom are now at risk. It’s also a pretty poor play by Apple IMHO as a lot of video editing software and various other things rely on QuickTime DLL files and QuickTime has it’s own updater built into the Windows Apple software management thing. I hope this doesn’t turn into a security disaster, although honestly – it has the potential to. Especially for corporate networks running old versions of Windows that have QuickTime installed to support a bunch of legacy features they still use. Enterprise software…is not residing in 2016.